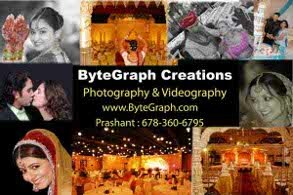 ByteGraph Creations is popular for photography, producing beautiful wedding documentaries and any cinematic presentations. Download the sponsorship kit. Complete the form and mail it to the address given. Dream Play is one of Vibha Atlanta's events for fundraising as well as increasing awareness about the plight of less fortunate children. Since its inauguration in 2003, it has grown from a small event attended by mostly Vibha supporters to a permanent fixture on the calendars of serious Table Tennis and Chess enthusiasts in Atlanta. We request your support for the 10th Annual Dream Play being organized by Vibha on February 16th at South Forsyth Middle School. Proceeds of this event will benefit child development projects for underprivileged children in India. The Atlanta event is expected to include several hundred participants plus additional family members. The day will provide for activity, awareness and entertainment for the entire family. The Vibha Cricket Cup is being organized almost completely by Vibha Youth in Atlanta. Some of our past sponsors include Coke, Xerox, Equifax, Hitachi, Powertel, Compuware, Georgia Tech, Metlife, Manhattan Associates, and Kroger among a host of other companies. We invite you to help us again to make this event a grand success. Enclosed are more details about various sponsorship packages, and about Vibha’s efforts in India and the US.